Massie leading the USask Drought Preparedness team in 2012. A writer, editor, and farmer in west-central Saskatchewan, I specialize in local, rural, and environmental history. I am passionate about how place remembers the past, and fascinated by the power of local history. It can transform how people feel about who they are. Local history bolsters pride, and generates incredible community spirit. Local history is deeply rooted in place, and the environment is an important part of that. The flip side is to recognize when, how, and why history is constructed in a particular way. Which stories are told, which are withheld? Which are forgotten, and why? My first book, 36 Steps on the Road to Medicare, was co-written with C. Stuart Houston, a legend in Saskatchewan medical and ornithological history. It was published by McGill-Queen’s University Press and tells the story of the many ‘steps’ that led to Medicare, which came first in Saskatchewan. It is, in keeping with Stuart’s way of doing history, an almost jingoistic endeavour; it is an offering to the larger story of Medicare, but remains slim on critique. Enjoy its gems, though, including some thoughts on fighting cancer, staying within budget, the Red Cross Outpost Hospital experiment, and early mental health facilities. My second book, Forest Prairie Edge from University of Manitoba Press, is a deep time history of the Paddockwood/Lakeland region north of Prince Albert, Saskatchewan. Deep time is a technique that layers human occupation within this space over thousands of years, to compare and contrast different ways of knowing and using the landscape. Landscape is an active character in the story — always changing, always present, not as the backdrop but as another personae that you must know and understand and plan for. The book explodes the ‘prairie’ myth and tells why a girl can be from Saskatchewan, but most decidedly NOT from the prairie. As a freelance researcher, writer, and editor, I take contract work. My current foray is to write a history of the Centre for the Study of Co-operatives at the University of Saskatchewan. The Centre started as a three-way effort between major Saskatchewan co-operative businesses (the Saskatchewan Wheat Pool, Federated Co-operatives, and Credit Union Central of Saskatchewan), the Government of Saskatchewan (Department of Co-operatives and Co-operative Development), and the University of Saskatchewan. Writing a corporate/institutional history calls on many of the skills and techniques developed for local history, from document analysis to interviews. The project will wrap this spring. All authors have several projects on the ‘go’ at once. Mine include a biography of Saskatchewan legend Sylvia Fedoruk, a co-authored book with retired conservation officer Les Oystryk on overland freighting in western Canada, and continued work on the south-to-north social and environmental migration during the 1930s in western Canada. As I settle into authorship, I hold as my motto a suggestion from late Canadian history journalist Pierre Berton: don’t just tell them what happened; tell them what it was like. In a shallower way (being a lowly 4th year undergrad!) I share your passion for local history. On the surface it seems local history (and along with it family history) is history that seems to held much more dearly than any other broader kind. My hometown of Norwich ON (population 2014) just published a bi-centennial anniversary booklet (the first booklet published in 1910 I believe). It was with great pride that a very small historical society pushed the project through. Thank you, Jordan. As for being a ‘lowly’ undergrad, there is no such thing! Anyone with a passion for history — and local history — works in one of the oldest and most-loved genres of literature in the world. Now that the local has gone global (global village) we learn about and enjoy the stories of so many places on earth. Good luck in your studies, and thanks for visiting. Glad I “clicked” to check this out! Interesting stuff, Merle. You have also provided me with a reason for the proliferation of poster contests! There is probably 3 or 4 a month that come to the school. Hi Merle. I couldn’t find a way to email you so I’m just posting this here. Sorry. You can delete if you want. I am planning to go to film some footage in Bents, SK this weekend. I plan on going alone Sunday morning. Do you foresee any issues on doing this alone? Any tips? P.S. If you could reply to my email address, that would be rad. Thanks, Hemant. Be careful, have fun. I’ve sent you a separate email. 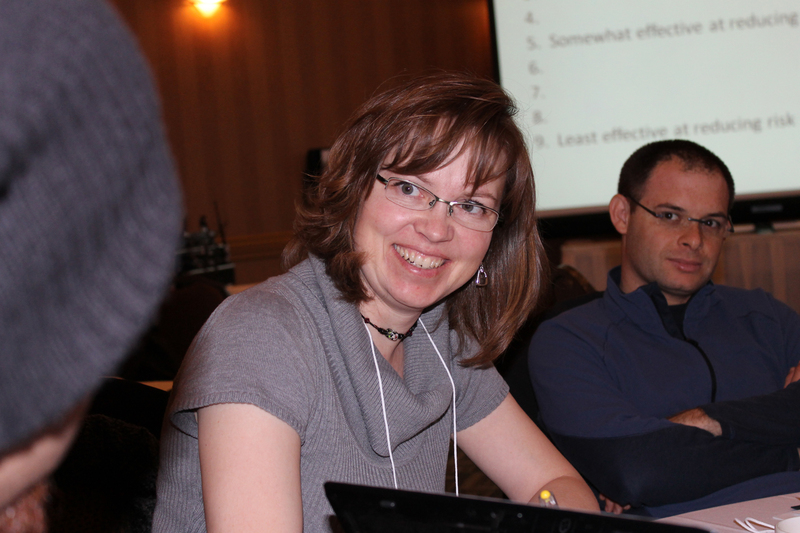 Hi Merle- I saw you at the 2013 Yellowhead Symposium in Churchbridge. I enjoyed learning about your research in Prince Albert. Is there any way to borrow a copy of your dissertation to read? I tried to borrow it from the library but it is still being processed and not available to lend. Hi Doris! My dissertation was rewritten and is now a book: Forest Prairie Edge: Place History in Saskatchewan. It can be bought or ordered through most if not all bookstores. Thanks! I stumbled across your blog and your article on photography explorers of rural Saskatchewan while doing a little research for a trip to Saskatchewan that I am planning this summer. I think we share some similar interests. I grew up outside of Regina, took both undergraduate and masters degrees from the Department of History at the University of Saskatchewan but now live and teach at Korea University in Seoul, South Korea. While I lived on the prairies, I seemed to have been oblivious to the fascinating history of the region, but have since then found the error of my ways. I was wondering if it would be okay to email you some time about both Saskatchewan history and my plans for doing some rural exploration of my own this coming July and August. I don’t want to take too much of your time, but I am intrigued by your research and book as well as in the Bents/Valley Centre area. Hi Merle, My name is Dwayne and I host an Environmental radio show on CFCR in Saskatoon and my family is actually from the Paddockwood Area. Are you interested in doing a phone interview sometime in the near future? Text me at 306-717-2807 if you’re interested. We met in Portugal last summer at an environmental history conference. I was intrigued by your presentation on “place histories” because it seemed to clarify my own project, and I would like to continue to talk to you about your methodology. Shoot me an email and we can chat then. Hi Merle, I’m hoping I can reach you on short notice, because I’m in the Saskatoon area for a short time. I’m an author of a recent photography/history book about the prairies. I sent an email to your usask eddress, hoping it might reach you soon. Please let me know.